There are some days when magic happens, and when we built our Starplayer TV Custom – we knew it was going to be magical. 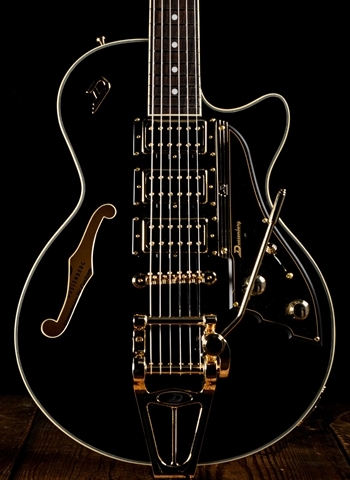 The deep black finish is a magnificent presentation area for the gold hardware, and the lush pickup configuration of three Duesenberg D-Tron humbuckers extends the Duesenberg soundscapes to an exciting new level. 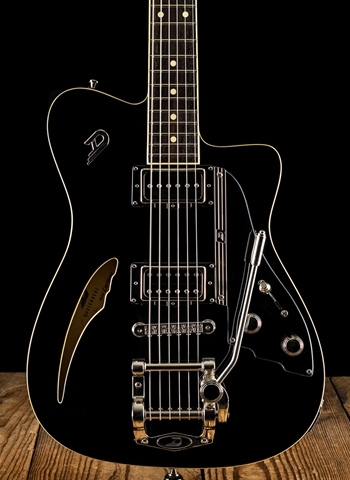 Instead of the rather inflexible circuit of other guitars with three humbuckers the TV sports the Duesenberg Custom Multi-Tone potentiometer that dials in the middle D-Tron on request, which makes a wide array of six different sounds. These sounds cover the whole spectrum from clean to crunch – but always with a certain charm and chime, as never has been heard before. 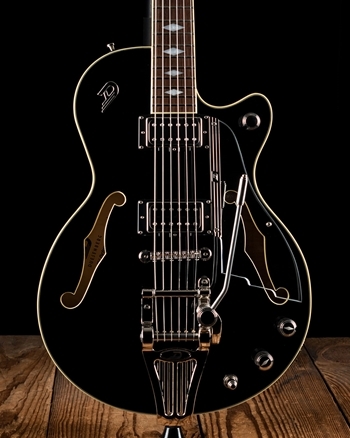 The Proto-type of this guitar is featured on the latest Aerosmith record, “Music From Another Dimension”. 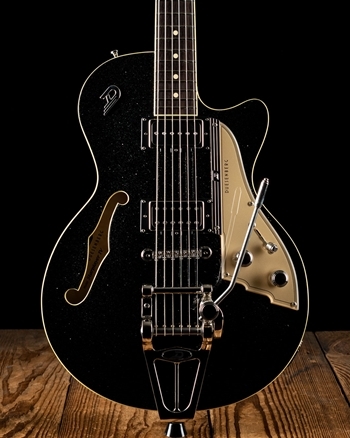 With the stunning hardware and the unmistakable tone of Duesenberg you will see why this TV may quickly become our new flagship.